"A hilarious and fun story driven puzzle game!" Murdercide 2017 is a hilarious puzzle game with fantastic voice acting and laughs every few seconds, animated in a way that’s quite reminiscent of South Park, you can see that that and many other animated comedies have had a huge amount of influence on this game. 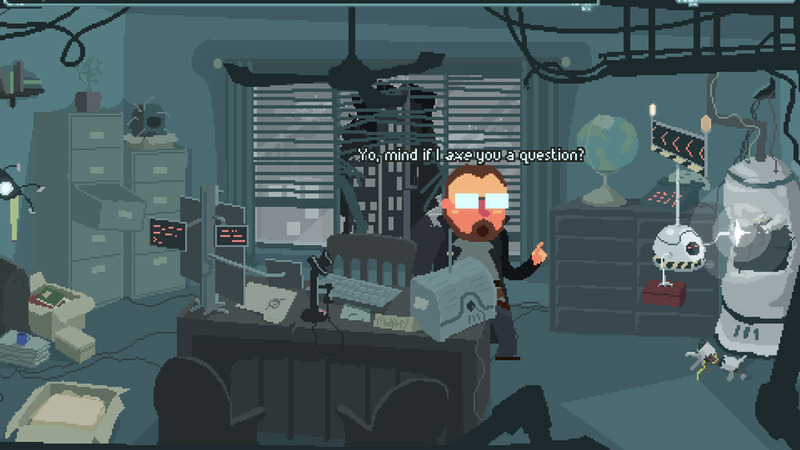 Although generally a puzzle and problem solving game the biggest draw in this game is the fun animation and great humor, the British voice of our protagonist Jon Murphy that then has a narration in classic American private detective style is a very clever and funny gimmick, the backup characters also have some great lines and fun personalities although towards the end of Murdercide 2017 it does start to rely a bit heavily on the “Juice” pun around one of the characters names and all too quickly after that the game is over. 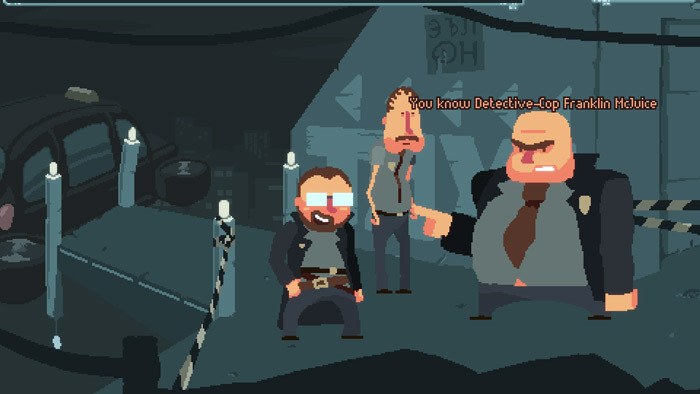 Certainly the worst part about this game is that it’s all over far too quickly we could have happily spent a couple more hours in the company of detective Murphy and his “private dicking”! A really fun game that is sure to make you laugh with it’s silly characters and easy on the eye animation anyone looking to spend 10 or 15 minutes with a game guaranteed to make you laugh can’t really go wrong by downloading Murdercide 2017 which you can do here for free.